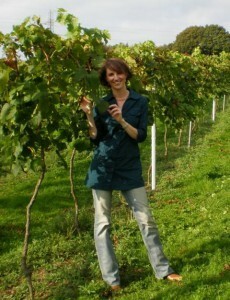 Kathryn O’Mara is the founder and manager of Clapham’s Artisan & Vine. 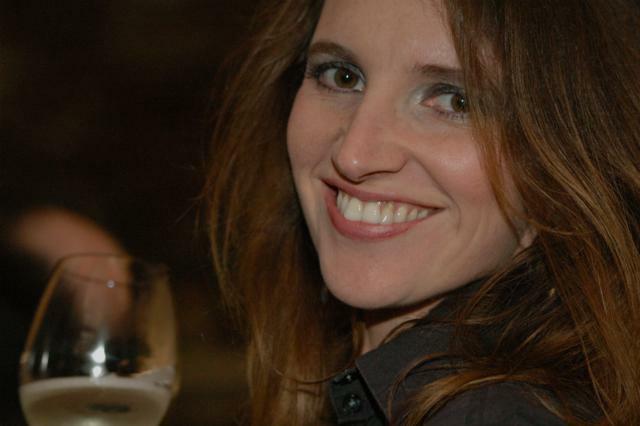 Originally from Sydney, Australia, she set up Artisan & Vine as London’s first wine bar and shop to specialise in Natural wines. 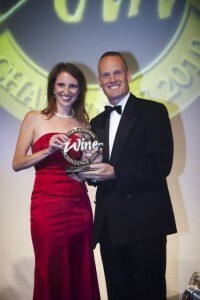 In September 2010, Artisan & Vine won the International Wine Challenge Award for Small Independent Merchant of the Year. How did Artisan & Vine come about? Artisan & Vine responds to a few questions that plagued me a few too many times: I couldn’t understand why the natural wine movement was so popular in Paris but silent in London. I couldn’t understand why I had to work to taste English wine in England’s capital city full of mass-produced Southern Hemisphere wine imports. I couldn’t understand why, in one of the most dynamic cities in the world, my friends and I were forced to meet in carbon-copy bar after carbon-copy bar. So I created an alternative, in all of its homemade glory! If you’ll excuse the pun, very organically! Artisan & Vine, as it is in Spring 2011, is very much a result not just of my original vision, but also of three years of evolution. I hadn’t worked in a bar before I opened Artisan & Vine. In retrospect, this was a big oversight. The first 12-18 months we had all the passion and enthusiasm, an amazing winelist, and a fabulous premise, and that kept us alive. Over time I learnt how to couple the wine offering with a food offering in a neighbourhood location. I learnt how to “operationalise” an ambitious concept: how to serve and store wines low in preservatives; how to staff for a friendly local and wine specialist at once; what types of seats and tables and sofas go where. For better or worse, I am a sponge, and soaked up all the customer feedback and press reviews I could. Sometime into our second year, Artisan & Vine became a better place than my original vision could ever have defined. Knowing when to listen and adapt (e.g. on our food offering) versus knowing when to stick by your convictions was crucial. For example, so so so many people advised me to ditch the Local and Natural specialisations; they are now an important contributing factor to making a fabulous business. How many people work for Artisan & Vine? In addition to myself, we have five full time employees. We try to keep it small; the idea is that when you walk into Artisan & Vine, it feels like you’re walking into a family home and so we aim to have a small team that stays with us for a long time. What is the best part of running Artisan & Vine? I love walking up to the door, seeing our lights twinkling from the outside. I love entering the bar to see our team smiling and greeting customers, while our playlist (which we now spend a lot of time on) sets the ambience, and I smell all of our great new seasonal foods cooking. I love seeing a range of different people scattered around the venue creating great times in their lives. The best part of running Artisan & Vine is realising every time I walk through that door that we created something more awesome than I could’ve imagined and that people who come there seem to really take it into their hearts. What has been the most difficult part of running Artisan & Vine? That initial learning curve was arguable an unnecessary difficulty I created for myself. That said, playing back that period of my life, I’m not sure it could’ve unfolded any other way. Those early days were difficult, but able to be overcome. So, the most difficult part of running Artisan & Vine, and I imagine any business, is trying to carve out some meaningful time for your personal life. Know your non-negotiables, your strong points and your weak points. Never let pride prevent you from learning. Don’t take anything too seriously. Prioritise. If you’re not delighted to go to work, you need to change something at work. If you would like more information on Artisan & Vine, you can check out their official website. More entrepreneurial people lurk in our archives.